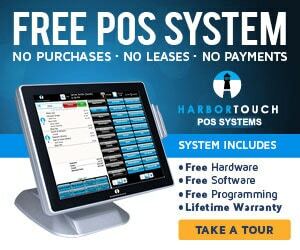 4/5/2018 – Harbortouch’s CEO Jared Isaacman announced today that every new Elite Hospitality or Bar & Restaurant POS system would come with a free Ingenico iPP320 EMV chip credit card reader! The Ingenico iPP320 offers some great features to protect your business. With the TLS update deadline for PCI compliance quickly approaching, you need a trusted POS and processing partner that has the features and tools you need to protect your business. The Shift4 payment platform protects your business by offering security protocols that provide the highest level of protection for financial and transaction data in the industry. Not only are we PCI compliant and PCI DSS (Payment Card Industry Data Security Standard) certified, but we have protection measures in place on our transaction systems to assure that our merchant’s sensitive payment credit card data is not stored and compromised. Our transaction network provides the highest level achievable for data security. TOKENIZATION – Our tokenization solution replaces sensitive cardholder data with a random alphanumeric value, delivering the best solution for merchants who want to protect their sensitive data. Our parent company, Shift4 Payments, actually invented tokenization in 2005 and has processed billions of tokenized transactions since introducing this technology. POINT-TO-POINT ENCRYPTION (P2PE) – Our PCI-validated P2PE solution prevents cardholder data from entering your payment environment – protecting your customers from the harmful and costly effects of a data breach. Many companies claim Point-to-Point Encryption, but few are PCI validated, which makes a big difference if you want ultimate security. LOWER COMPLIANCE COSTS – Not only does our P2PE solution provide maximum security, but it drastically reduces the overhead and resources needed for PCI compliance. Businesses with P2PE do not require annual system scans and the Self-Assessment Questionnaire (SAQ) requirements reduced from over 300 questions to only 33 questions! EMV – Shift4 is a leader in EMV processing and even offers the ability to process EMV transactions when the POS system is offline. What are the benefits of using the Ingenico iPP320 and our processing network? RELIABILITY – We have had 100% system uptime since 2008 with fully redundant, geographically diverse data centers powering our robust processing infrastructure. SPEED – Our systems boast the industry’s fastest authorizations and settlements to help eliminate long lines and slow checkouts at your business. Now supports EMV Quick Chip! FUNCTIONALITY – Our payment platform offers a complete enterprise solution, including credit, PIN debit, gift cards, signature capture, check verification, and EMV chip card (including offline mode). It also supports pre- and post-settlement auditing, batch settlements, and a 24-month archive of all transactions. If you need and want the highest level of security for your POS system and payment processing, Harbortouch and Shift4 Payments provides a complete POS solution for you to accept EMV credit cards and to be PCI compliant. Not only do you get the highest level of security for your POS, but we provide you a free Ingenico iPP320 EMV chip credit card reader with every Hospitality POS terminal you sign up for. Don’t miss out on this great opportunity, sign up today! Get Your Free Ingenico iPP320 Today! Get your free Ingenico iPP320 EMV credit card reader with each Elite Hospitality POS terminal you sign up for.